Did a security failure contribute to this Glendale apartment shooting? A Glendale resident was reportedly shot and injured while checking on a disturbance outside his Desert Garden apartment home Thursday morning, March 8, 2018. According to AZ Central, a man “woke up to the sound of gunshots at about 5:30 a.m. 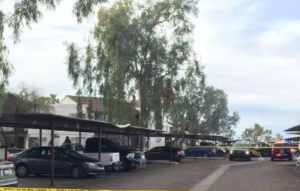 He was checking out the sounds when he was shot in the Desert Garden Apartments at 135th and Glendale avenues.” The victim was transported to the hospital with “critical” injuries, per ABC 15 reports. His current condition has not been released. Did negligent security contribute to this senseless shooting? We represent individuals and families who have suffered a tragic loss or injury as a consequence of negligent property security. 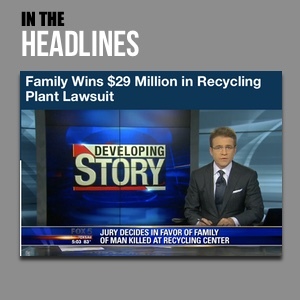 Read Our Legal Take below to find out if the victim may have a legal avenue for justice and claims for substantial compensation in Arizona, or call now for a free consultation with our legal team: 888.842.1616. How did the gunman gain entry to the complex? What security measures, such as gated-entry, bright lighting, surveillance cameras, and security patrols, were in place to deter crime and protect residents at the time of the shooting?